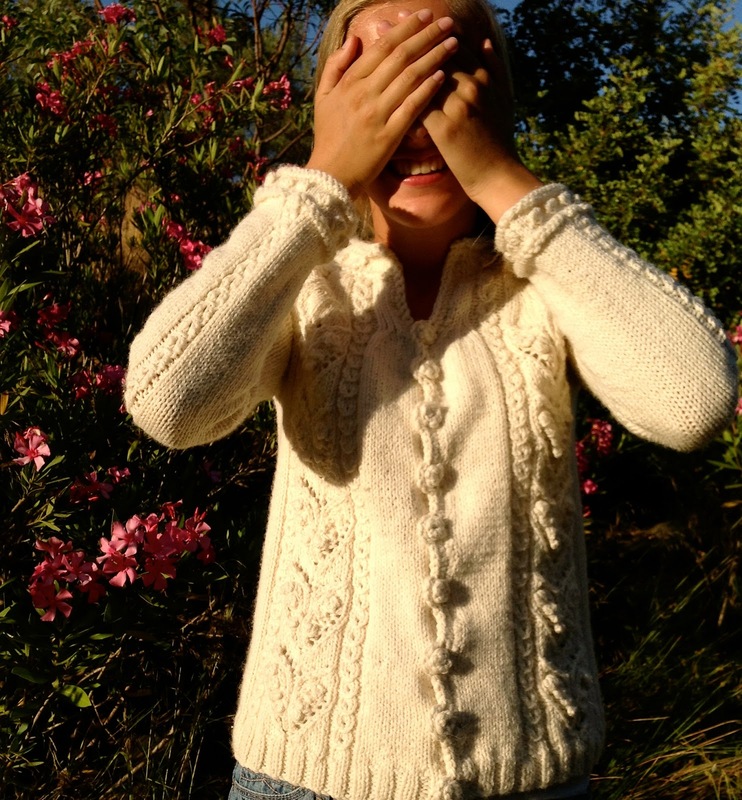 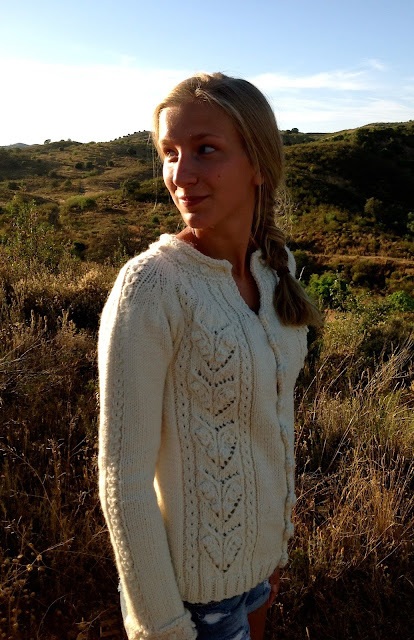 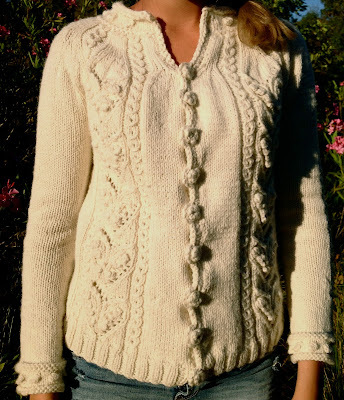 The Audrey cardigan is knitted with Garnstudio Drops Nepal and Andes both in cream white. 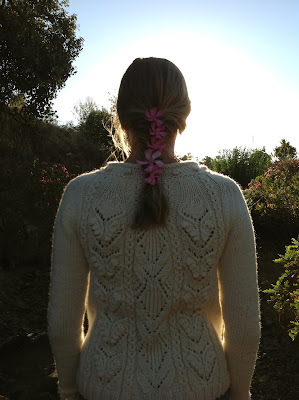 I used some lace knitting stitches by Hitomi Shida from the book Knitting Patterns Book 250, but the design and pattern for the cardigan is by me. 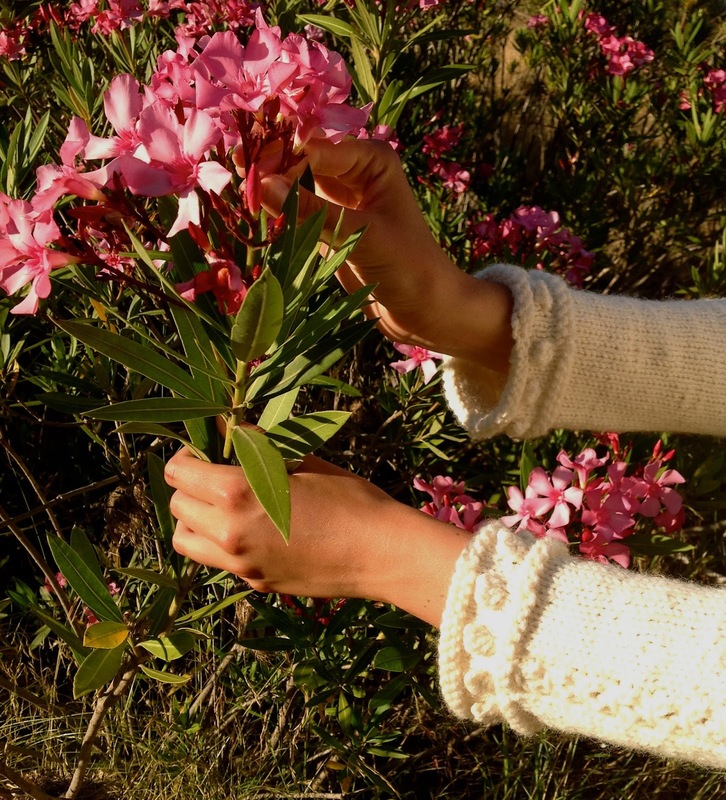 My sister is wearing the cardigan in the beautiful landscapes of Algarve. 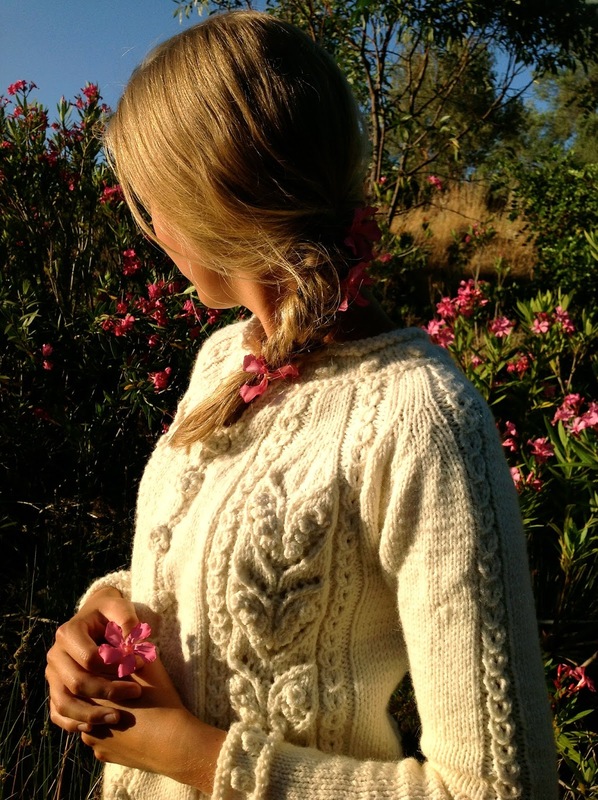 The sleeves and and neckline have a trimming consisting of a purl edging and bobbles. The buttons and the edges are crocheted using the Andes yarn which is more bulky than Nepal. 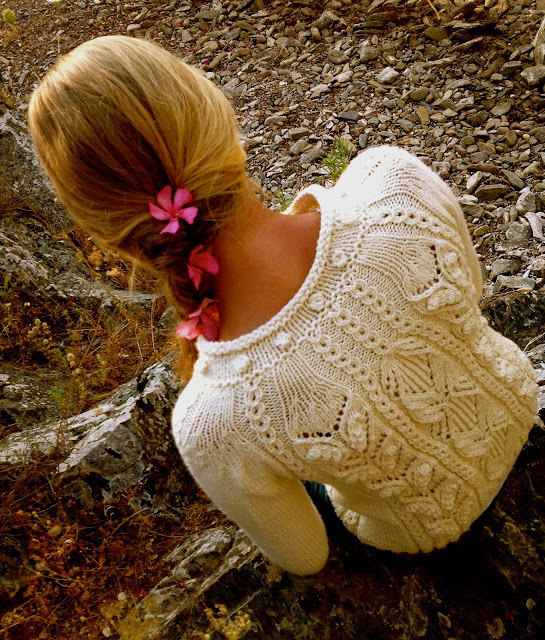 The backside of the cardigan is very decorative with the intricate lace knitting pattern. 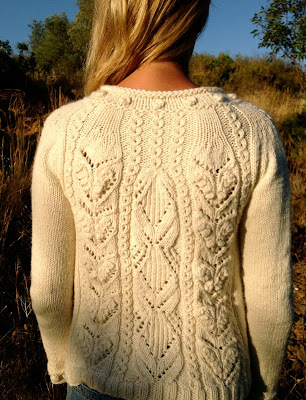 I find that it is best to use lighter colours when knitting lace so that the shapes and structures become more visible. 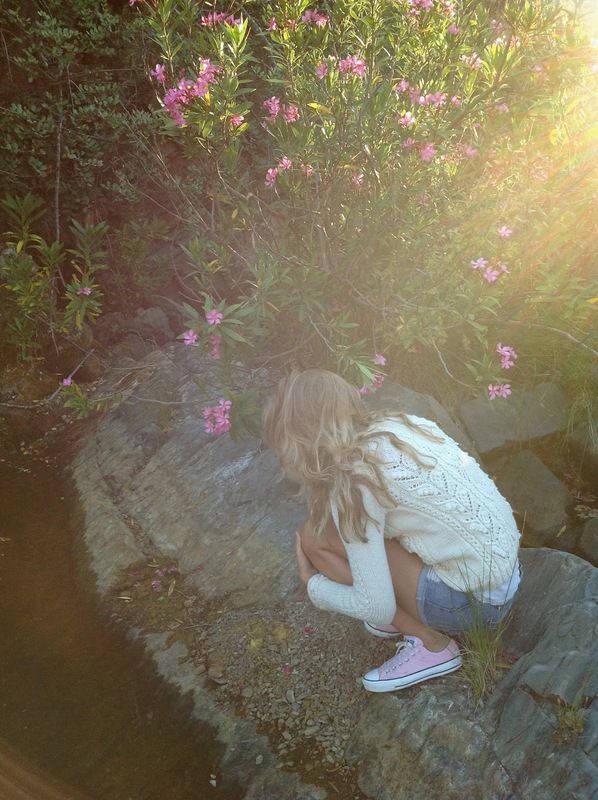 A frog hopped into the pool while I was taking photos!